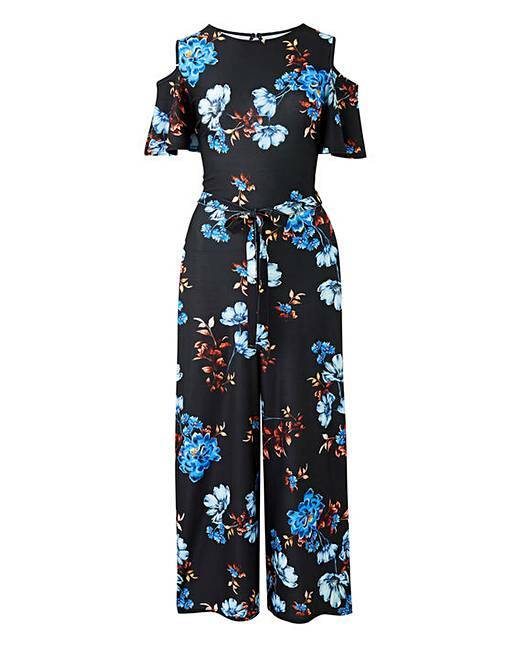 Floral Cold Shoulder Jumpsuit is rated 4.9 out of 5 by 8. A fantastic floral print to keep the vibrant season going. 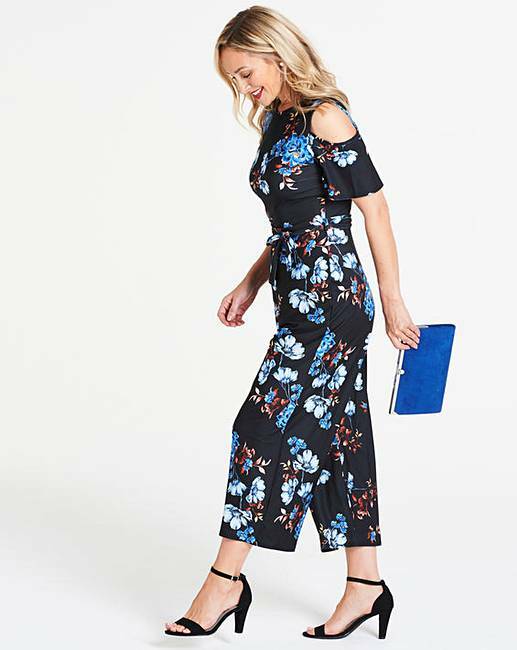 With cold shoulder detailing in a fantastic jumpsuit silhouette this style can be teamed with a pair of black barley there heels for your statement look in this timeless style. 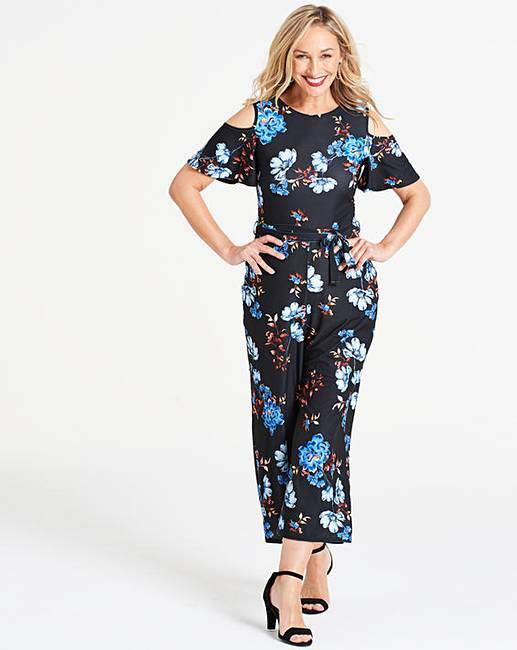 Rated 5 out of 5 by Jo jo from Floral jumpsuit Bought in sale,never worn a jumpsuit before,it fitted great...only trouble is will need help to do button up after visiting loo ! I love it. Rated 5 out of 5 by Lisa Cooper from Gorgeous jumpsuit! This is a great buy, nice material and we'll made too! Very smart on and can be dressed up or down,Fab thanks! Rated 5 out of 5 by Cold shoulder top from Great jumpsuit Bought this and the fit is perfect looks lovely on cannot wait to wear it downside is which I waited few more weeks and got it at sale price.